March was book-ended by American visitors. At the beginning of the month, my mom, Nancy, came to visit me for a few days. 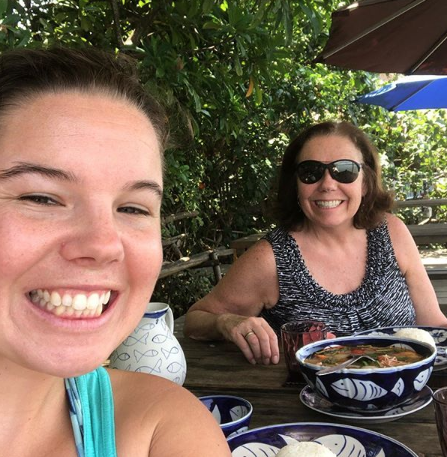 I was able to take her to Kampot and show her my favorite town. One night, we rode an hour to the coast to Kep and sat on the exact same beach she took me to 4.5 years ago when I felt called to move to Cambodia. It was such a relaxing, special time. At the end of the month, while on Spring Break (they are teachers), my friends Stephanie and Ben, came to visit me. Three years ago, we hiked Manchu Pichu together. It was fun to get the dream team back together. Work in March was a little crazy with everyone struggling to figure out what their building’s power cut schedules were. I taught an Online Sales Platform class for NOMI Network. It was awesome to meet with so many freedom business leaders (those who employ disadvantaged people as an alternative to human trafficking) who want to sell their products online to an international market. But eye-opening to the struggles they face. Infrastructure issues (like power outages and shipping) to financial problems (like PayPal isn’t available in Cambodia). I also started working eight hours a week for business as missions company called Web Essentials. It was started by an Interserve (the sending agency I’m hoping to join) member who has grown it to a very reputable web development company. 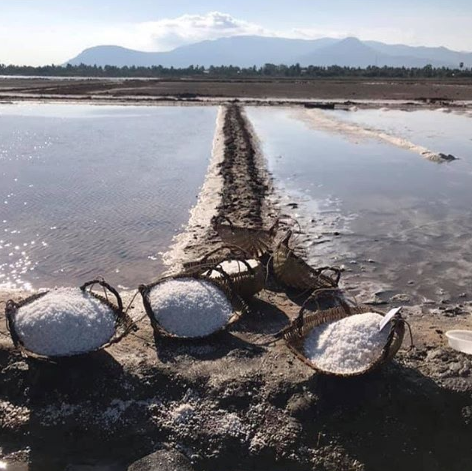 I’m helping out in their marketing team, but in reality, I’m getting an inside look at what it’s like to run an ethical business here in Cambodia. Something I hope to be doing in the future here in Cambodia. There are a lot of moving parts happening at M’lup Russey Organization (MRO). Most of March was spent collecting resources, translating content and asking questions about how things have been done in the past and what hopes the organization has for running things in the future. In April, we rolled out some exciting documentation and hope to release a few more projects in the near future. I completed my Community Healthcare Course at G2K. 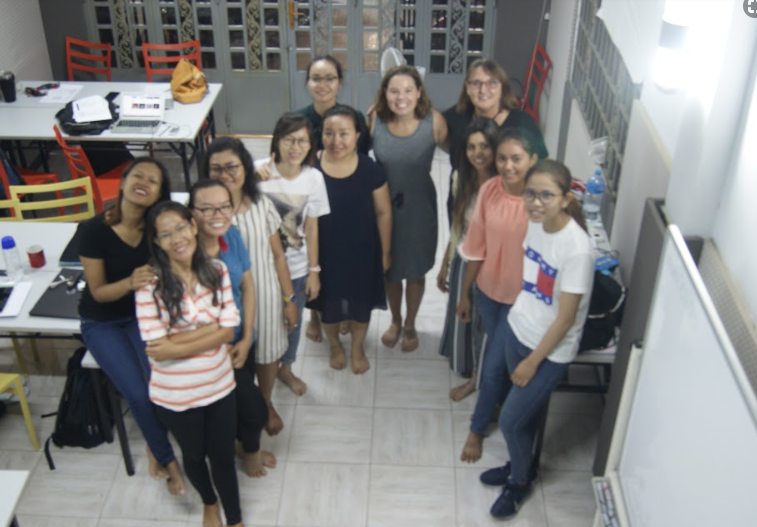 It was a really fun class and I’m already putting my new language skills to work here in Cambodia. Typically joking about how my “សាច់ដុំ” (muscles) hurt from riding. Or asking how people are feeling at work. I can also understand more prayer requests, which is encouraging and ask follow up questions about various family members. I’ve found it easier to tell my friends about my uncle’s cancer diagnosis in Khmer since I’m so focused on the words, I don’t get overwhelmed with emotions, which is a very interesting blessing. Speaking of riding, I got in one charity ride in during March! It felt good to get back on my bike and NOT have heat rash. The ride was a fundraiser for Teen Challenge, which operates here in Cambodia, as a drug rehabilitation program. I made some new Khmer friends at the ride and have enjoyed continuing to ride with them on the weekends. 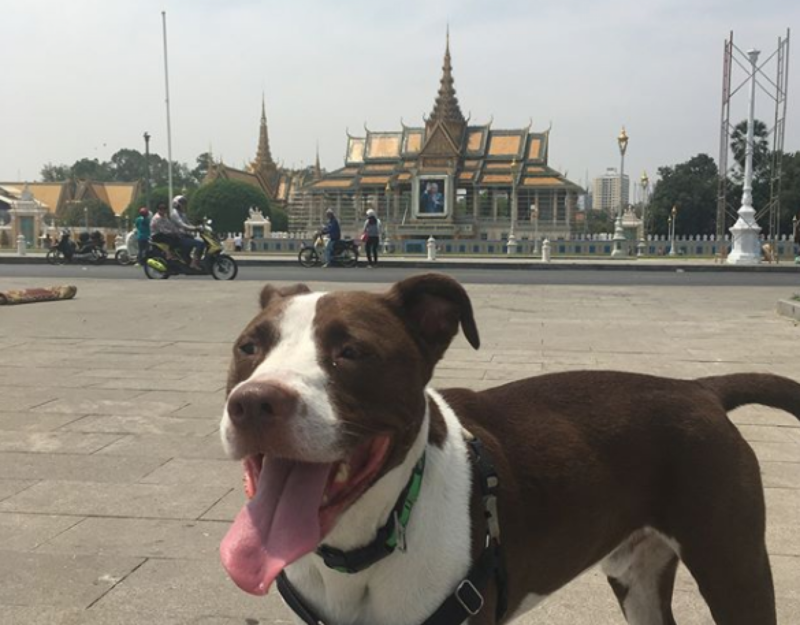 They have been showing me some other places to explore near Phnom Penh. The other big piece of news is that I’ve officially booked my plane ticket to Portland, Oregon! (I still haven’t booked my international plane tickets yet – so East Coast friends, sit tight. I’ll send you details soon.) I’ll be in Portland, Oregon August 5 through September 3, 2019! I want to hang out with you! Let me know what you are up to and we can plan a hang out session. 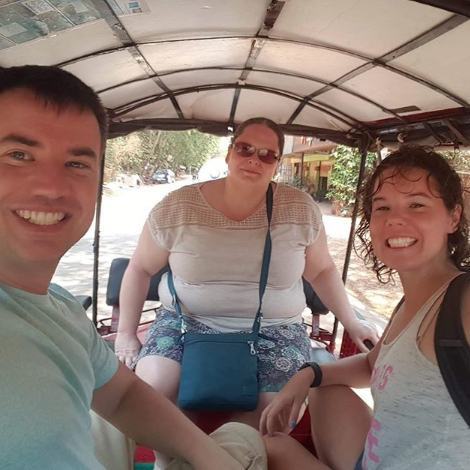 I’m also looking for a place to stay during that time AND for opportunities to speak with people who are interested in learning more about what is happening in Cambodia and the work I’m doing here. If you have a place for me to stay or know anyone interested in learning about Cambodia. Please let me know by sending me a quick email. Speaking of emails. You can always send me an email sharing how have you are doing? I love hearing what is happening in your life and how I can be praying for you. I look forward to hearing from you! As always prayer requests are below. Lastly, In March, I started reading two new books (haven’t finished them yet). One is called “Bad Blood”, which is all about the rise and fall of Silicon Valley’s Theranos, a blood testing company. The second is called “The Water Cure” which is a “The Handmaiden’s Tale” – eques book. 1. Continued prayer for my Uncle Clay and his family while he battles brain cancer. He just completed his first week of treatment and is doing great. Please pray that his strength continues to remain strong and for his family as they adjust to their new life routines. 2. For great tenants for my house in Portland. 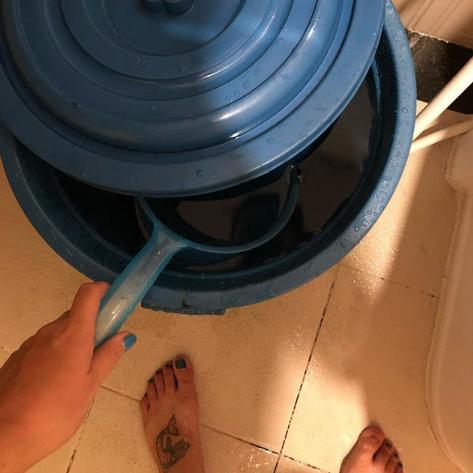 The small amount of profit I make on renting out my house is my emergency fund here in Cambodia. It’s a little stressful to be pulling from your emergency fund to be paying for your mortgage instead of adding to it. I’m trusting God will be faithful in providing great tenants and that soon I’ll be back to adding to my emergency fund. 3. For wisdom and logistics as I start gearing up for my trip home this summer. 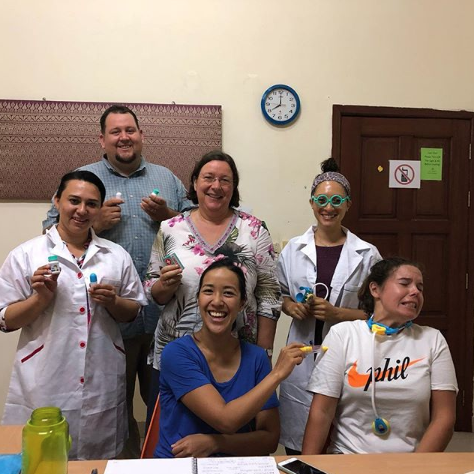 I can’t wait to see you all this summer, but I don’t want to get too caught up in thinking about the future and miss out on things here in Cambodia. 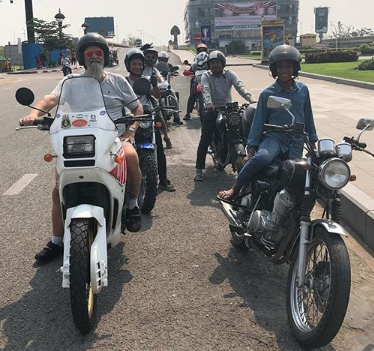 Sometimes I feel like I have one foot in the future – catching up, meeting babies, celebrating weddings, speaking events, craft beer and ice cream – and one foot here in Cambodia – work, friends, motorcycle prayer rides.